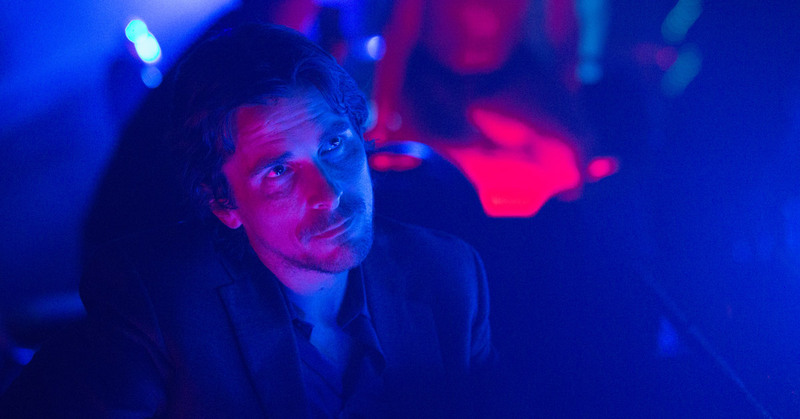 Terrance Malick is a director who splits critics, and Knight of Cups is no different. Some consider him a visionary experimental filmmaker. Others think he makes broadly unwatchable movies. I have to say I’m of the second opinion and have been baffled by people acclaiming previous films like Tree of Life. It genuinely seems a case of the Emperor’s new clothes. At least you can actually hear what the actors are saying in Knight of Cups. Malick has a dreamlike style, and the visuals which accompany his films are beautiful. Knight of Cups is no exception and the cinematography of Emmanuel Lubezki is exquisite – particularly with interstitial images and tableau which do make a great impression. These are genuine, beautiful art. If only Malick would keep the bloody camera still during scenes between actors rather than swinging it around unnecessarily until everyone watching gets seasick, the visuals would be perfect. Unfortunately that doesn’t happen. All scenes focusing on actors interacting happen using such an arms-length alienation technique – having the drama described in breathy voiceover while the events take place in a sort of emotional dumbshow – that there is never a single moment for the audience to actually become engaged with any of the characters. The thing about experimentation is it means trying something new, but this isn’t new, it’s rehashing old tropes and hoping they work this time. And they don’t really. The story, such that it is, focuses on emotionally vacant screenwriter Rick, played with a kind of meaningless sociopathic intensity by Christian Bale. His life is empty. He has everything he wants but has to go through a process of sleeping with lots of women until he finds fulfilment, or some such wanky reasoning. The sexual politics of the movie are iffy to say the least, nameless women, acres of vacuous female flesh, pass through his life in between the more significant characters played by Cate Blanchett and Natalie Portman. Several times older men are seen using young women. If it’s meant to be a comment on the state of the film industry, it’s a fumbled point and adds to the issue rather than comment on it. Nothing in the story earns a payoff as it goes along – the antiseptic nature of the delivery means that when a character has an emotional experience or epiphany it is so out of the blue, so without context, that it means nothing. Aside from that, Rick is such an unpleasant character who the audience has no sympathy or empathy for, and in using the fragments of story we can piece together, we have nothing to latch on to. There is literally no investment in characters and as a result the audience couldn’t care less what happens to them. It’s telling that in watching the cast interviews on the extras of the Blu-ray we hear all of the actors telling us more about the characters they are playing than we actually see on screen. And that’s without any of the actors ever being particularly specific. It becomes clear that they all really enjoyed the process of working on it, so that’s nice. If only that had translated to the screen. Even a non-conventional and experimental movie needs a hook – something to keep the audience watching and interested, or it might as well just be screened as a piece of video art in a gallery, letting the audience pass by seeing small moments out of joint. Presented like that the film would actually work wonderfully – disparate moments would probably make more sense in isolation. But for sitting in the dark watching for two hours it’s just not worth your time. With nothing to engage the audience, with minimal storytelling, it only serves to worth as an elegant looking soporific. Because my god it is dull. Incredibly dull. Still, it looks very pretty. Knight of Cups will be available on Digital Download from 15th August and to own on Blu-Ray & DVD from 22nd August.